We are proud and honored to have recently been featured on Task & Purpose, a news site for – and by – American veterans. Read article now. 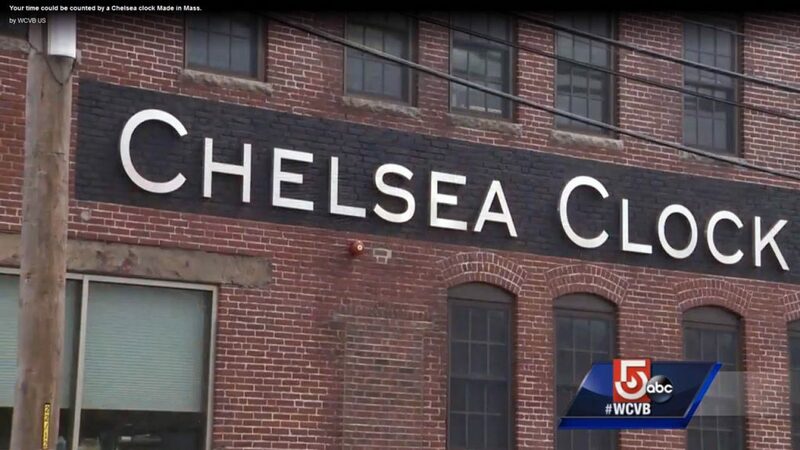 Doug Meehan, host of “Made in Massachusetts” (Boston, WCVB Chnnel 5) paid a visit to Chelsea Clock to see how we’ve been making time for more than 120 years. We are so proud and honored to have been a part of this special program. Take a look. Chelsea Clock is extremely proud to have crafted a special mechanical timepiece for the silent auction at this year’s second annual MaiTai Global Ocean Gala, held on December 3, 2016 in San Francisco, CA. This contemporary timepiece is designed to celebrate both modern American craftsmanship and the 120-year anniversary of Chelsea Clock, the iconic American clock manufacturer founded in 1897. Crafted from Chelsea’s classic materials of solid brass and old growth oak, this piece is updated with a high-tech anthracite coating and sits atop a ceruse finished base. The Quest boasts a newly launched 14-ruby jewel mechanical movement for superior timekeeping and endurance. It also features an etched dial and clock hands that are all painted by hand.” Read more. Friday kicks off the annual Vineyard Race, hosted by the Stamford Yacht Club each Labor Day weekend. For the 4th consecutive year we are honored to provide coveted Chelsea Ship’s Bell clocks for select winners. Over the years the race… Read more. For the uninitiated, Jay Leno’s Garage is a web and TV series in which American comedian and television host Jay Leno, former host of the Tonight Show, performs live classic-car and motorcycle reviews out of his “Big Dog Garage” in Burbank, California. Recently one of our readers spotted a Chelsea clock on Jay Leno’s Garage — in an episode that featured a 1913 Mercer Raceabout roadster. 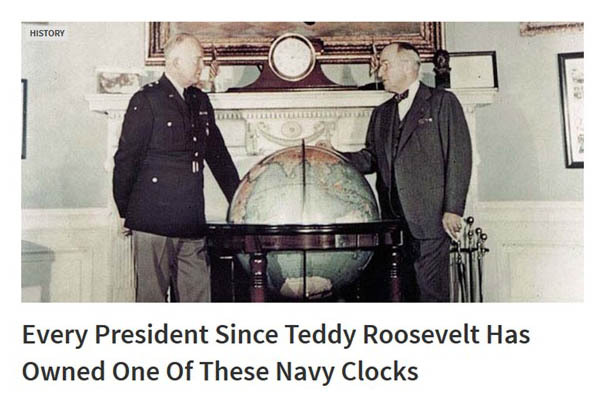 Chelsea began making automobile clocks a decade earlier around 1903, manufacturing top-of-the-line dashboard clocks for the likes of Rolls Royce, Packard, and Studebaker, among others. Read more. Participants of St. Barths Bucket Regatta set sail tomorrow, and five lucky winners will be taking home a handsome Chelsea Clock ship’s bell trophy prize at the end of the weekend. The first St. Barths Bucket dates back to 1995 and each year, a portion of each entry fee has been designated for donation to a close-to-home charity or non-profit in St. Barths. This year, the donation will go towards replacement boats for the St. Barths Yacht Club’s Children’s fleet, of which only 10 of the 17 aging boats are actually in service. The Bucket’s contribution will provide 7 new boats to the fleet. Read more. Tuesday evening a reception will be held at City Hall to kick off local photographer Nanda Rust’s latest exhibit featuring Chelsea Clock. City Hall stated in a press release: Now is your chance to gain an inside perspective through beautiful photography of one of the oldest and most beloved Chelsea businesses — Chelsea Clock! Local photographer Nanda E. Rust had the pleasure of befriending the company and has become their inside photographer. [The exhibit will showcase] images from the old building on Everett Avenue, the move of the facility, and an inside perspective of their new location on 2nd Street in Chelsea, [while featuring] portraits of employees, machinery, and the true workmanship Chelsea Clock has loved and maintained for well over a century. There will also be collectors showcasing limited historical Chelsea Clocks! We’re excited and honored to have been chosen as the subject behind Rust’s lens. Read more. Congrats, Quantum Key West Race Week Winners! Quantum Key West Race Week kicked off late last month in Old Town Key West. It was the 29th year for the international regatta, this year hosted by Storm Trysail Club (the notorious host of Block Island Race Week) for the first time. For the past two years Chelsea Clock has been a proud trophy sponsor, and this year — our third — felt extra special. Read more. Quantum Key West Race Week kicks off this Sunday with the official weigh-in and welcoming reception held at Kelly’s Caribbean Bar & Grill in Old Town Key West. The international regatta is in its 29th year and is hosted this year by Storm Trysail Club (the well-known host of Block Island Race Week) for the first time. Chelsea Clock has been a proud trophy sponsor for the past two years, and this year will be no different! Read more.